It’s an intriguing name for a café – it implies something for the present and something for future. At least that’s what I take from it. 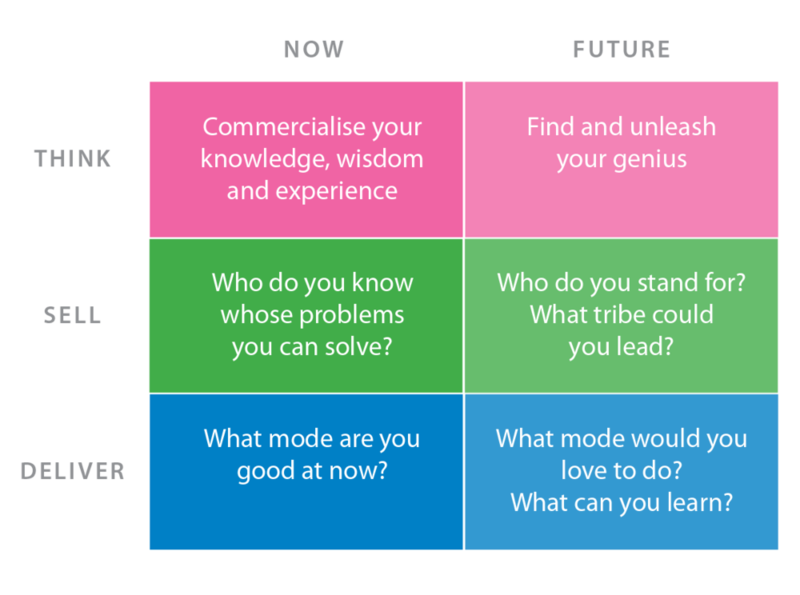 And I think that’s a great way to think about your three jobs as a thought leader (think, sell, deliver). The biggest thing you can do to sabotage yourself commercially is get your future and your present mixed up. We’ll get to the future. I promise. But if you’re starting out, let’s unpack what you already know. And work with people you are already connected to. In a way that you already can. Momentum is more important than you think.